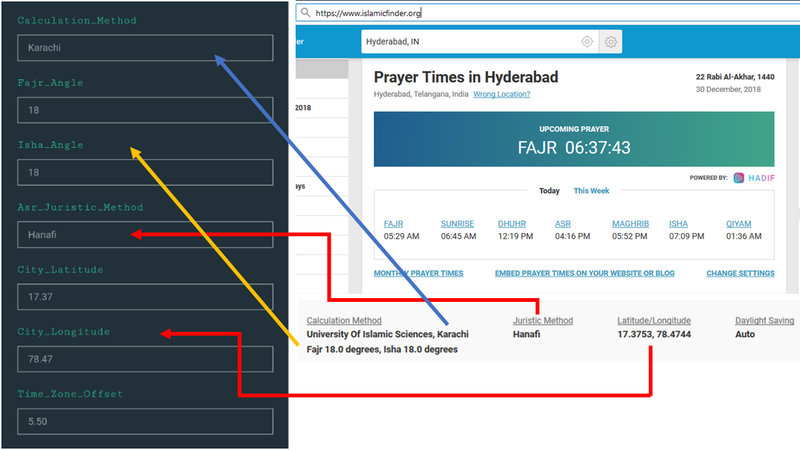 Setup instructions for Web Page config of the Automatic Azan & Jamah Wall Clock for Masjids made by AlAleem Systems, India. Connect to the Device’s WiFi Hotspot / Access Point (usually of the type AlAleem.com-M1-XXXXXXXXXXXX) and enter the password provided to you. Once connected, open a Browser in Phone/PC and navigate to 192.168.4.1 in the address bar. 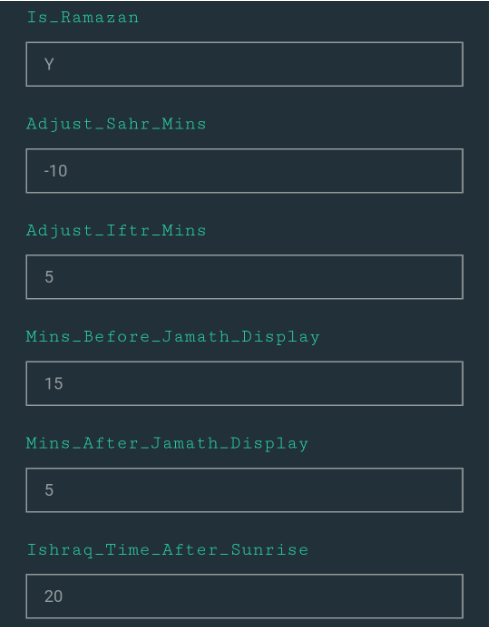 You’ll see the AlAleem – WiFi Prayer Display Configuration Page load. Modify values accordingly and hit save. 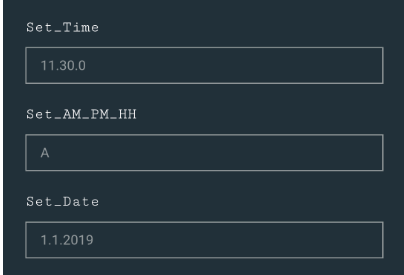 For Adjust_Maghreb_Mins, enter the number of minutes you’d like to add to the Sunset Timing (updated daily) to indicate start of Maghreb Time. This is usally 5 in the Indian Subcontinent or 0. Standard default is 5. 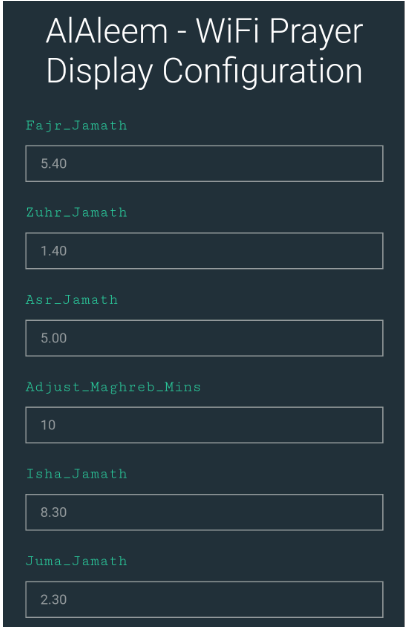 Maghreb Time is automatically calculated daily. Open https://www.islamicfinder.org and select the City you need to update to the Display. Time_Zone_Offset is the Timezone value of the Country. Use the Set_Brightness to change the brightness of the display. Values range from 1 (dimmest) to 100 (max brightness). To turn off the display, use the value 0.